Loyalty is a rare and admirable thing, but life is ever-changing and keeping up with the times is the only way to ensure you get the most out of it. 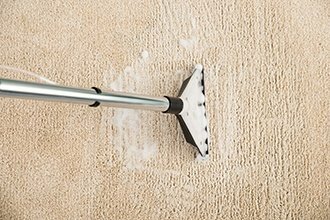 So – have you been using the same old cleaning company for years? Maybe it is time for a change, or at least time to try someone else to compare and see if you are still getting the best value for your money. 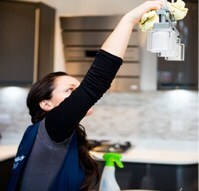 We are an experienced cleaning company, eager to impress and shine – and let you shine! We always present customers with fresh, friendly, intelligent and motivated staff, equipped with the latest cleaning equipment and products. And this… is how we manage to do things fast. We do not like wasting time, and we respect yours. Everything we do, is geared at working smartly and at running a smooth and clean operation. And that is why we are called Top Cleaning Services Redbridge. We do things fast by running our company like a clean engine runs. We do OUR homework well before we go and do your housework. We have put a lot of effort, time, research, training and shopping into this business before we launched it. We believe it will show from your very first contact with us. From the moment you deal with us, you will know that you are dealing with a different kind of cleaning company. 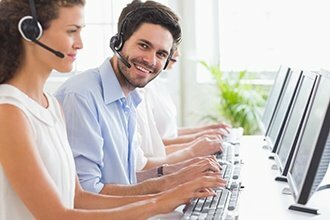 You will be asked the correct questions when contacting us for a job, your quote will be correct on the info you provide us with, and you will receive it quickly. Once you have accepted the quote, it will be a matter of telling us where and when, and we will be there at the agreed time. Once we arrive, you will see the difference we make. When we leave shortly afterwards, you will know who has been there – and you will tell others about our cleaning services and our affordable cleaning prices. Give us a call today on 020 3912 1181 or simply use our online bookings form. I would like to thank your cleaners for doing a wonderful job at my flat on Monday. They were both friendly and worked hard during the 5 hours. They were very thorough and gave our flat the needed cleaning. I am delighted with the result. Me and my girlfriend recently moved into a new house, so we had to get our carpets cleaned. I truly appreciate your flexibility as we have daily jobs and it was quite hard for us to find a suitable time. The cleaner who cleaned my rug was professional and polite. I will use you again when I need a rug cleaning service. I am happy with your cleaning services. The booking process was straightforward and the price I was offered was quite affordable. I will recommend Top Cleaning Services Redbridge to all my friends and family members.